5 things to do in Nørrebro, Copenhagen — Opium Teahouse. When I first set foot on the trendy district of Nørrebro back in 2013, it was a cold December evening. The sun had long ago retired for the day and the little independent shops were starting to close. But something about this neighbourhood stuck with me. It imprinted a desire to explore more, to brush away the layers of snow and discover the gems hidden below. Returning to the city in the summer was the perfect opportunity to do that. The cultural offer of the original red light district on Copenhagen is en par with bigger European cities. 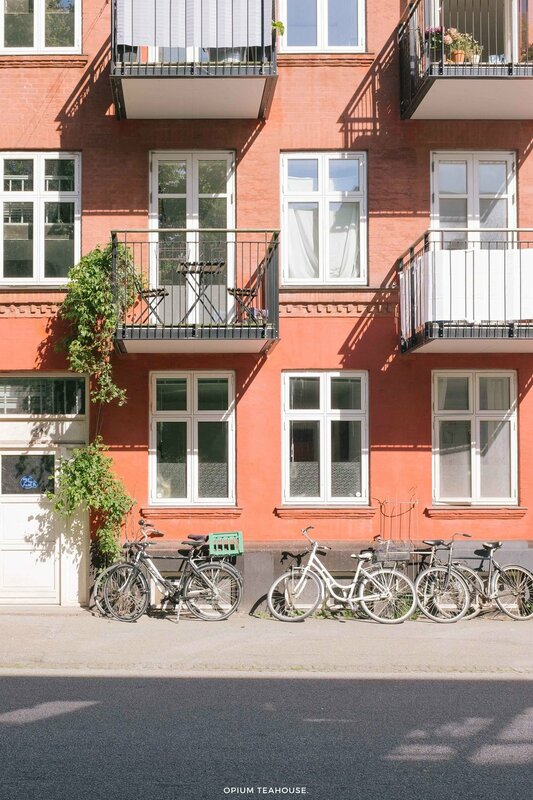 Lush green parks, hip shops and cafés, Nørrebro has it all. And electing it as a base while exploring the city is the best thing we could have done. Several parallel white lines twist and turn, sometimes opening up to reveal black areas of concrete, others to avoid lampposts, trash cans and even a Morrocan inspired fountain. The twisting white lines painted on the pavement of the Black Market area of Superkilen would make someone with OCD cringe. Superkilen is an urban three-area park in Nørrebro’s quarter of Mimersgade. With a dedicated colour to each area, the creators of the space – offices BIG and Topotek1 together with artist group Superflex – combined different surfaces and colours to form new, dynamic scenarios for everyday objects that furnish the urban park. According to critics, the trio managed to successfully produce a rare synthesis of architecture, landscape design and art. Built to celebrate diversity in the city, there are an array of sculptures, signs and decoration from other parts of the world. Two large neon-signs from Japan and one from Russia greet visitors walking in through the Red Square, a large area that hosts a theatre, cafes and a skate park. The Green Park with its soft undulating hills attracts families with young kids, inviting them to enjoy a picnic and relax in the heart of the city. Nothing gives us more pleasure than discovering the place locals flock to for an afternoon beer. In Nørrebro, the place to be is the unmissable household name of Mikkeller and Friends. On the corner of Husumgade with Stefansgade, the bar serves good craft beer made in Copenhagen, by the hand of a former chemistry teacher. The brews are served in dainty 20cl chalices or low 50cl glasses. There are no pints here, as their beers are meant to be sampled and savoured. Mikkeller and Friends is a privileged spot for people watching. Elect your poison and sit down on one of their outside long wooden tables watching locals coming and going and enjoying the last sun rays. Much has been written about the beautiful array of businesses in Jaeggerbroggade. From Danish ceramicist Inge Vincents’ studio, caramel purveyors Karamelleriet, to vintage clothes shops and independent cafes, this street is the hippest part in town. 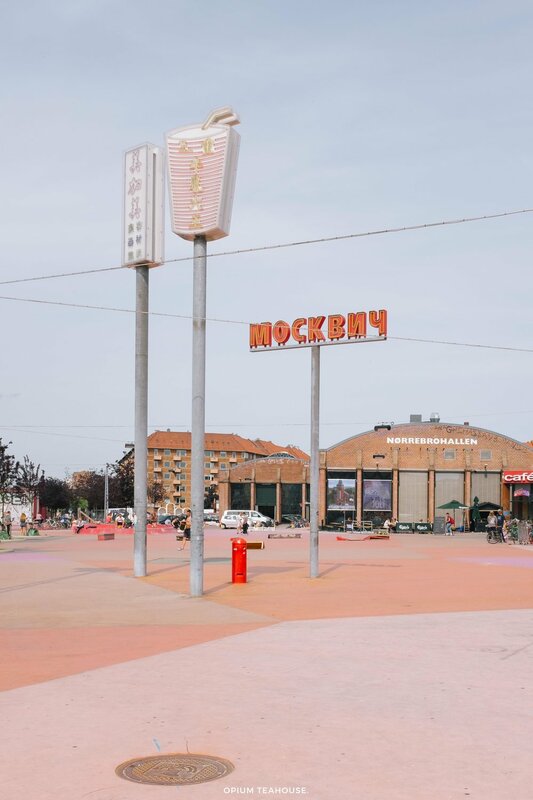 Formerly a dodgy area of the city, Jaeggerbroggade managed to reinvent itself in a very Danish way. It remains a residential area, with a laid-back atmosphere and a youthful grassroots movement. For shops to thrive here, locals need to love them, and that’s visible as business owners and locals greet themselves on the street. Everyone wants to make this small street of Nørrebro an enjoyable place. Some of our favourite stores include Ro Chokolade for delicious vegan chocolate and sorbet, Grød for a hearty breakfast of porridge and Høj Copenhagen, a store selling everything from beautiful coffee table books, organic wool throws and Danish ceramics. At the end of Jægersborggade closest to Assistens Kirkegård, lives a small bakery producing organic bread, cakes and pastries so moreish that there’s a queue at the door every morning. The force behind this small artisanal bakery is non-other than the culinary powerhouse Claus Meyers. As a founder of the New Nordic food movement, Noma and other equally impressive enterprises, anything with his stamp is worth the hype. And the neighbourhood seems to think so too. Every morning we saw young families, college students, artists and tourists waiting patiently for their turn to pick up some Tebirkes (poppy seed danish), Hindbærsnitter (raspberry tarts), rye bread and their ex-libris the decadent kanelsnurrer (cinnamon buns). As the sun was shining, we took our pastries across the road to the well-kept gardens of Assistens Kirkegård to savour them. A tall ochre wall encloses the even taller trees of Assistens Kirkegård, in the heart of Nørrebro. Joggers, cyclists and pedestrians on their way somewhere share the two large boulevards that cut through the grounds while amidst the trees and foliage, others read a book, have a snack with friends or take in some vitamin D. There’s an innate sense of peace. But what you might not know is that Assistens Kirkegård is as much of a park as it is a cemetery. As a resting place for notable Danes, it’s not uncommon to see tourists wandering around the green fields searching for the gravestone of Hans Christian Anderson or Niels Bohr. However, don’t let this discourage you from strolling through the green heart of Nørrebro. It’s quiet, easy going and you’ll feel miles away from the traffic going through Nørrebrogade just beyond the walls.